Recruiting the right employees for your social care business can be a minefield. From skills, attitude, behaviour and experience, there’s a whole load of criteria to measure candidates against. According to the report, nearly half (46%) of adult social care businesses don’t have a recruitment plan – do you? When it comes to advertising job openings, the most successful methods cited were: employees referring friends (49%); adverts posted on their own website (29%); adverts in the local paper (20%); posters in the local community (20%); and social media adverts (17%). To be successful, a job description should: be non-discriminatory; promote your business’ values; be jargon-free; clearly outline what the job role will involve; and only include relevant information. However, when asked if they had reviewed their job description(s) to ensure they’re in-line with the aforementioned points, more than one third (36%) of employers hadn’t. One in seven said they’d reviewed some of their job descriptions, 12% reviewed them over a year ago, nearly one in 10 (8%) said they only review them if a vacancy arises and 2% had no plans to review their job descriptions at all. Job applications are your first port of call for enticing candidates. If you cut shortcuts here, you’ll likely miss out on attracting some great candidates, so make sure yours are top notch! 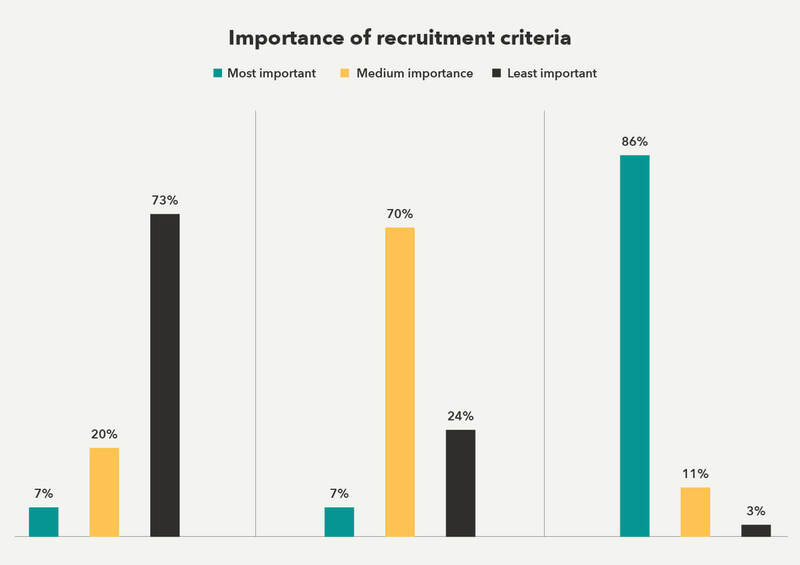 The report also asked employers in the care industry to rank the importance of three recruitment criteria: qualifications, prior work experience and values and behaviours – and the latter came out on top. 6. Included useful care worker information in application packs. Three in 10 employers filter candidates out of their recruitment process before the shortlisting stage, by asking questions around things like: driving licences, DBS checks, experience and why the candidate wants to work in the care industry. Mick Feather, Care Business Manager at Citation, commented: “Attracting the right people, with the right values, behaviours and attitudes to work in adult social care is vital. The quality of care in a service is measured by the quality of employees who provide it. “There are no “one size fits all” solutions but identifying employees with a “can do” attitude who’re honest, reliable and compassionate can be more important than qualifications and previous care experience. “Many learning disability services actively involve the people who use their service in the recruitment process. This approach can be adopted by adult social care services to ensure that potential new employees are suitable for the role.